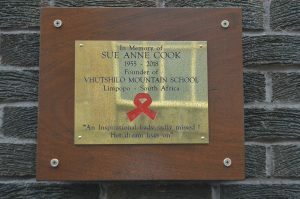 Westburn congregation remembered the life of Sue Anne Cook, founder of Vhutshilo Mountain School in Venda, South Africa by dedicating a plaque. Sue Anne died last year. 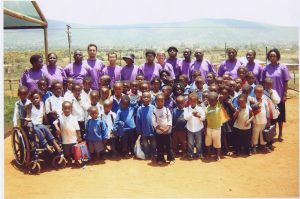 Inverclyde became linked with Sue’s work in the 1990s when Greenock Academy pupil Fraser McNeill visited Venda during a gap year. He met Sue Anne who was giving children a nursery education in a caravan. Fraser, whose family attended what was then St Luke’s Church, talked to minister the Very Rev. 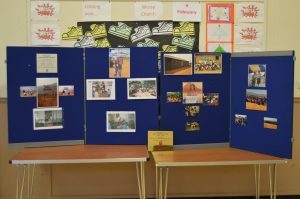 Bill Hewitt and Ian McCrorie, of Greenock Academy, about helping Sue Anne and it was decided to raise funds for a purpose-built school so more children suffering from AIDS-related illnesses could attend and improve their standard of life. 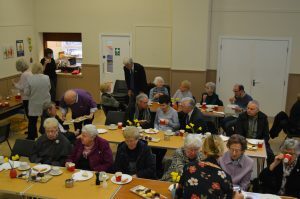 Many types of fund-raising took place including a sponsored walk involving members of local Church of Scotland congregations. 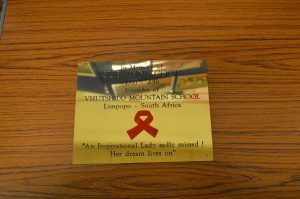 Nearly £20,000 was raised and the opening of the school took place in April 2005. 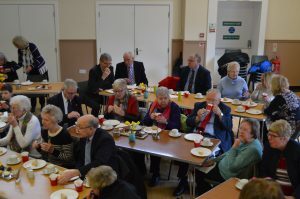 The area was represented by Mr McCrorie, the Rev Jill Clancy, who was minister at St John’s, Gourock, and Stuart Robertson of St. Luke’s Church. 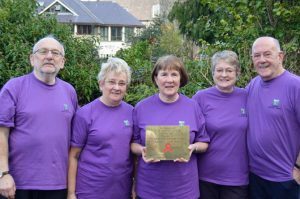 A group from Westburn visited in September 2015 to see what had been achieved. 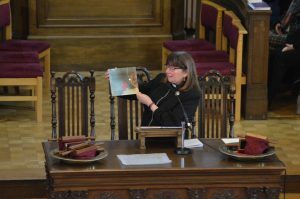 Patricia Robertson of the church said: “It was very uplifting to think that this area in Scotland played an all important part in the ongoing life of the school. 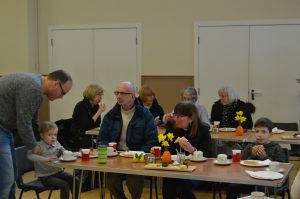 Donations from a soup and sandwich lunch after morning worship raised £750 which has been sent to the school to help with ongoing work. The congregation is grateful to everyone who contributed.